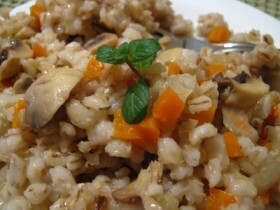 1 How to cook pearl barley? 2 How to cook barley quickly? 3 How to cook barley in multivarka? 4 How to cook barley for garnish? Barley porridge is not the most popular dish on the table, that is quite unfair. This porridge can be cooked very tasty, Besides, perlovka chrezvыchayna helpful. Barley, polished grains which are just the pearl barley, contain iron, copper, potassium, manganese, zinc, calcium, iodine, chromium, phosphorus and other essential micro-organism- and macro, vitamins of groups A, AT, D, E, PP. Pearl barley is a source of fiber, It contains many naturally occurring proteins, antibacterial and antimicrobial action, It refers to low-calorie dishes. It is worth noting, that due to their taste characteristics and beneficial properties for the body in ancient times barley porridge was the royal food. Before, how to cook pearl barley, necessary to determine the time available. One factor, determining the duration of the cooking, It is the shelf life. The "older" croup, the longer should be the thermal treatment. First of all, barley for 3-4 hours soaked in cold water. Further grits washed several times and then put into a pot with thick walls. There also is filled with water, by volume twice the volume of cereals is prepared. All covered with a lid and put on fire, bring to a boil. After that fire decreases slightly, added to the porridge and salt to taste and a slice of butter. Still need to add some liquid: water or broth. Fire increases slightly, the contents of the pan should boil again. Then steamed groats to be more not less 60 minutes. If done correctly, porridge is ready fluffy, swollen, tasty and soft. 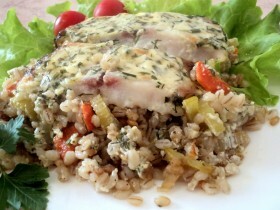 How to cook barley quickly? There is a way to reduce the cooking time to barley 1 o'clock. Krupa is filled with any number of water and placed on the stove over high heat. After the initial boiling water merges, instead it pan filled with several cups of cold water, fire is reduced to an average of. When the liquid comes to a boil again, power of fire is reduced to a minimum and offers a complete evaporation of the water. A similar recipe, as a barley brew thus, applicable for porridge, and for garnish. At any stage you need to add salt to taste. How to cook barley in multivarka? 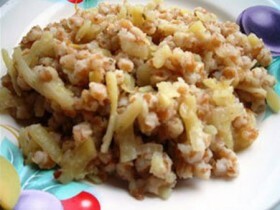 To prepare a tasty useful porridge made from barley in multivarka. It is necessary first to wash out the grain and soak it in an hour in cold water. Then the barley is passed in a special container Multivarki, adding water or milk, oil and salt. you need to choose the mode of "Milk porridge". Now we have to wait for a dial tone. The cooking time can take between one and a half hours. How to cook barley for garnish? In order to get a tasty side dish, need to know, how to cook pearl barley as, so it turned out crumbly and attractive in appearance. You can use this advice. The washed corn is poured hot water, brought to a boil. Further, the used water is removed, It is filled with new, too hot, salt and butter. All thoroughly mixed and covered with a lid. Pan you need to put it in the oven and bring to readiness It has thus.